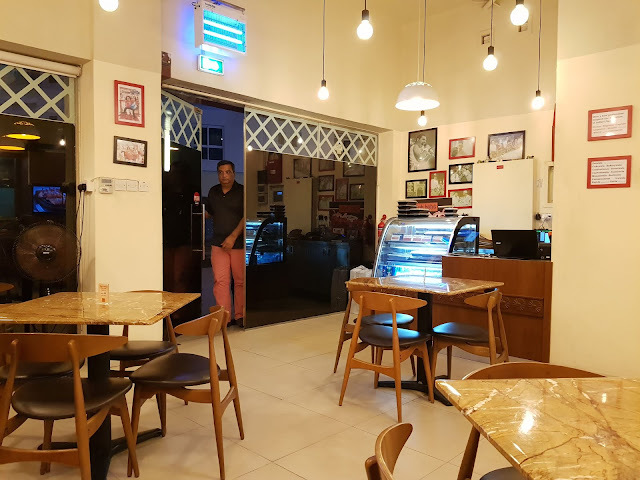 This is a newly opened restaurant in Karama that has been started by Jay (and hence the name) who has been a chef in many restaurants before. 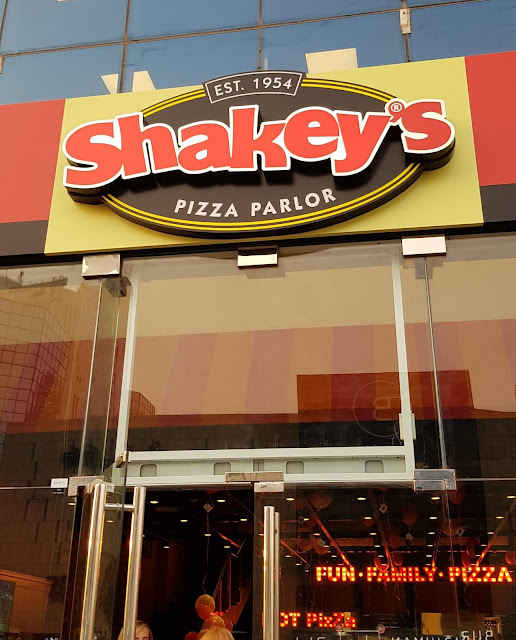 I was invited to try out the food here. 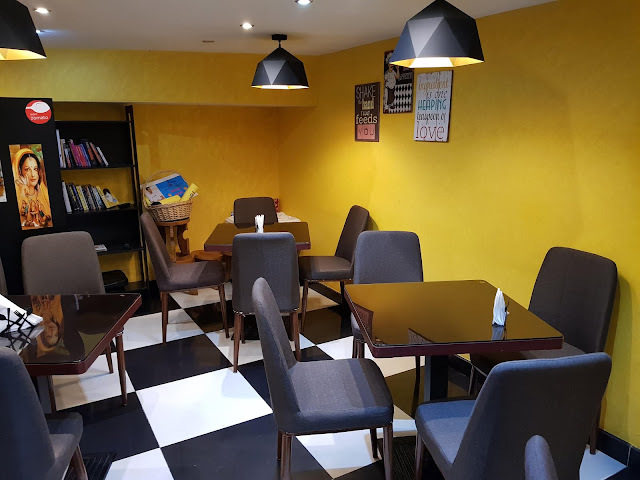 The place isn't too big but has been decorated well. 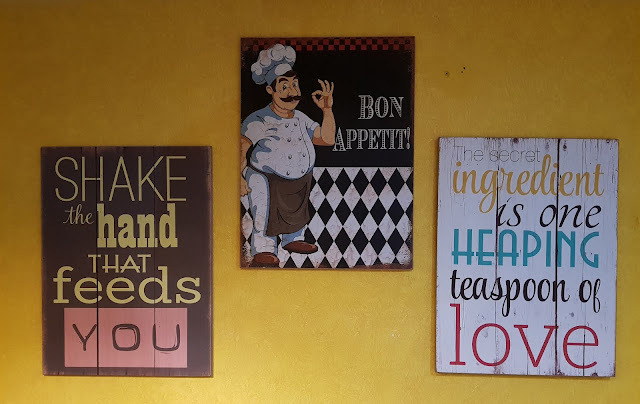 They have an upstairs seating that has a desi feel to it with quotes dotted around the place. 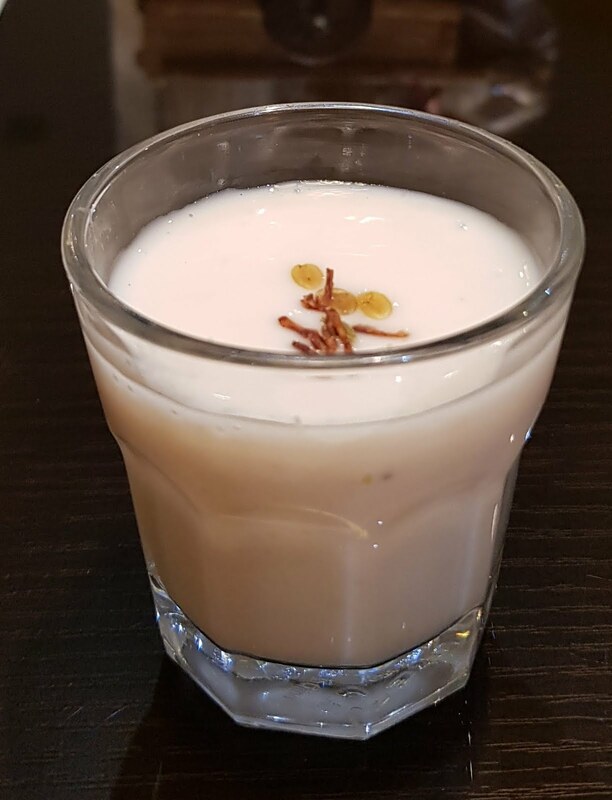 To start with, they got us a paan lassi shot. This was thick like a lassi should be and had the flavour of paan. We definitely really liked it a lot. We were spoilt for choice, and asked them for their food recommendation. 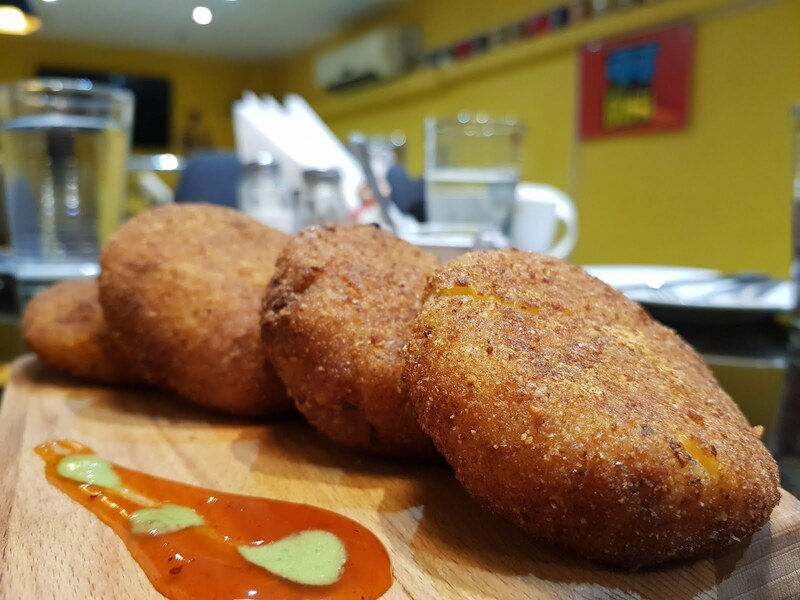 They suggested the mushroom aloo papad tikki for the vegetarian starter. The combination sounded really nice. Papad is used in a lot of dishes in Rajasthan and since the owner is from there, the restaurant does have a few Rajasthani dishes on the menu. These tikkis were really soft; they just melted in the mouth. I'm a fan of potato and perhaps that's why I liked it even more. The other starter was the chicken hara masala. This is made in a mint marination. 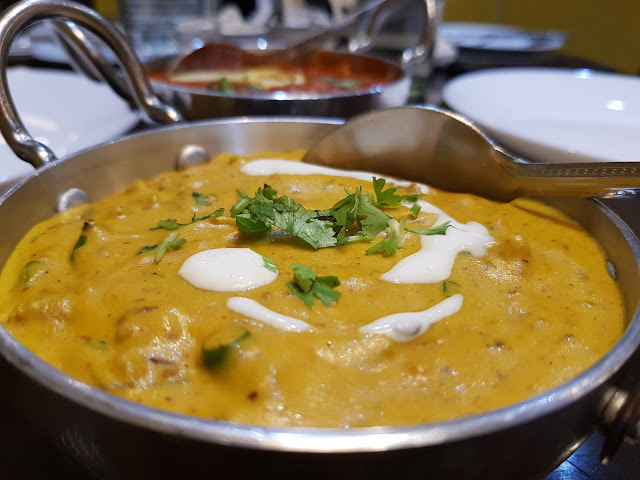 The chicken had a creamy consistency to it, and the masala felt just right. It was not overpowering and complemented the chicken well. 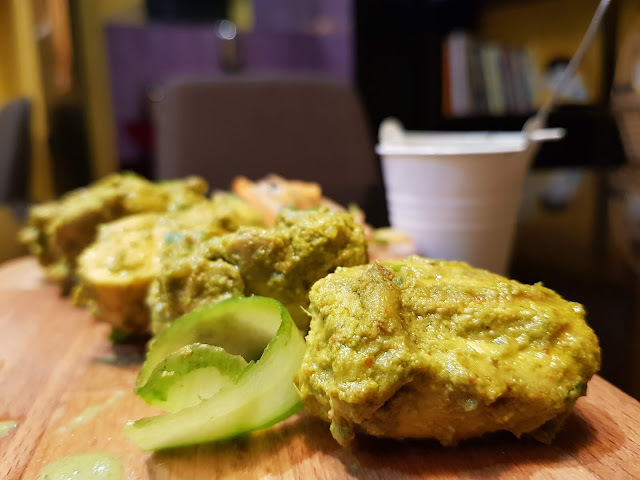 For the mains, they strongly recommended the chicken rara; we just had to try it. Chicken rara has some keema in it and chicken. The ones that I've usually had were prepared reddish in colour, whereas this was yellowish-brown; also a bit creamy. As a dish by itself it was delicious and I liked the cashew gravy that they made it in, but as a chicken rara, it wasn't exactly as expected. The other main dish was a Rajasthani speciality called the laal maas (read meat). This is a mutton dish that is made spicy (supposedly). It looked quite tempting when served, and when we took a bite, it tasted great. Although, it wasn't as spicy as I thought it would be; in fact, I didn't find it spicy at all. The mutton was well cooked though and we liked it. 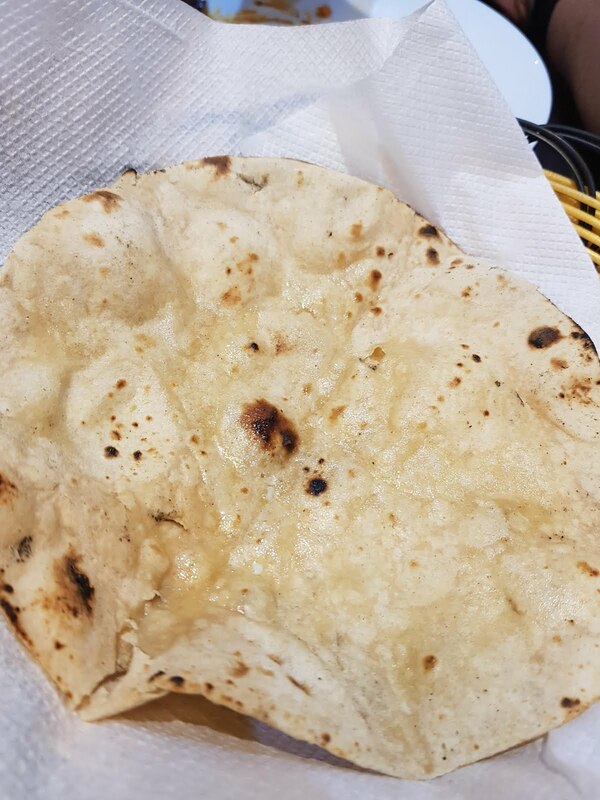 We had this along with phulkas which were served hot. 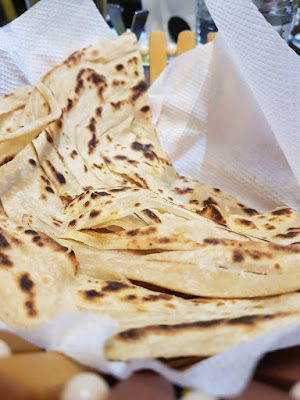 The lachha paratha was hot and crispy the way we like it. 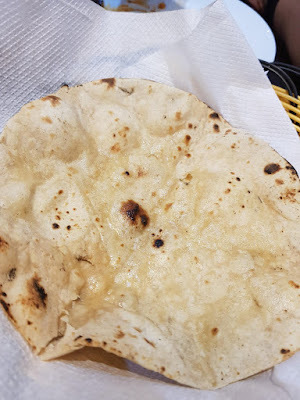 There was butter garlic naan too, and this was harder than what I've had till date. 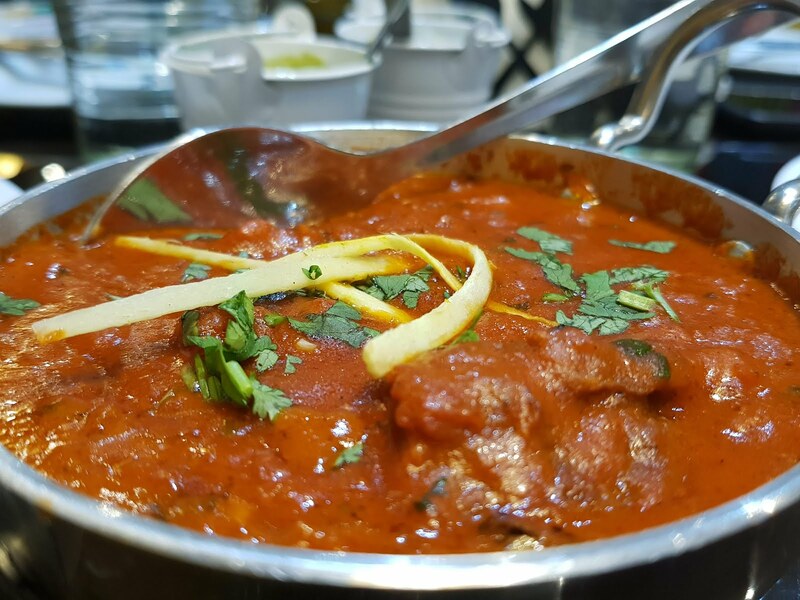 They don't have a tandoor to make it soft the traditional way, so they just use gas. 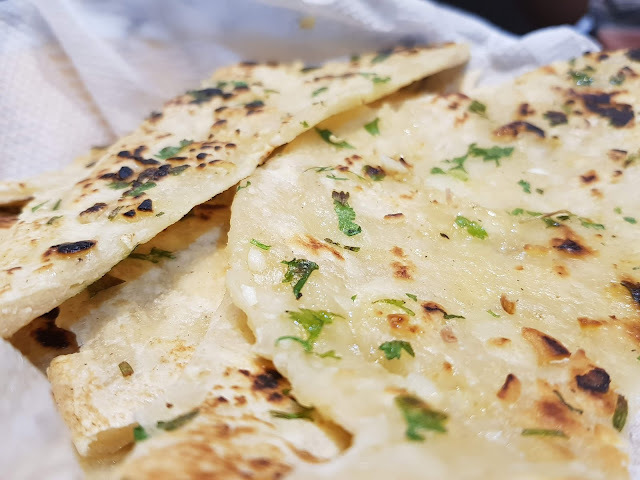 I would suggest them sticking to the Indian breads that they make best. 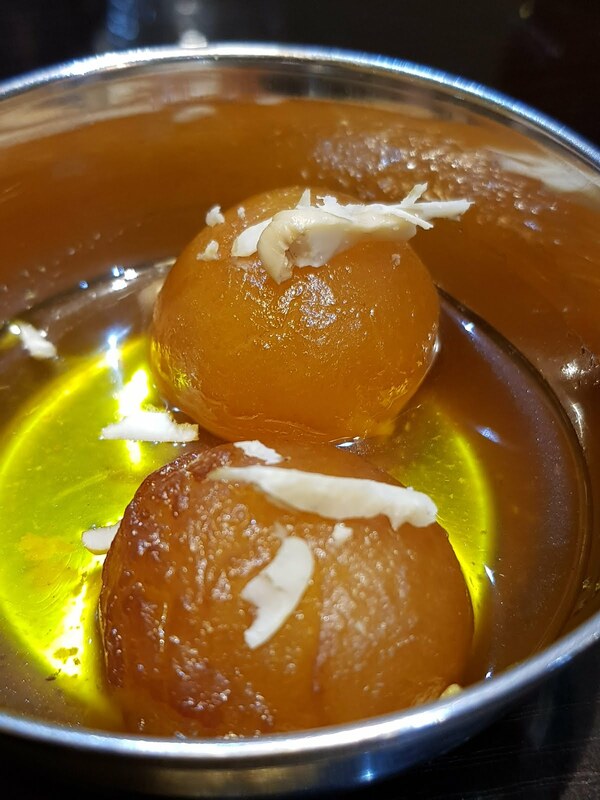 For the sweet endings, we had some traditional Indian desserts. 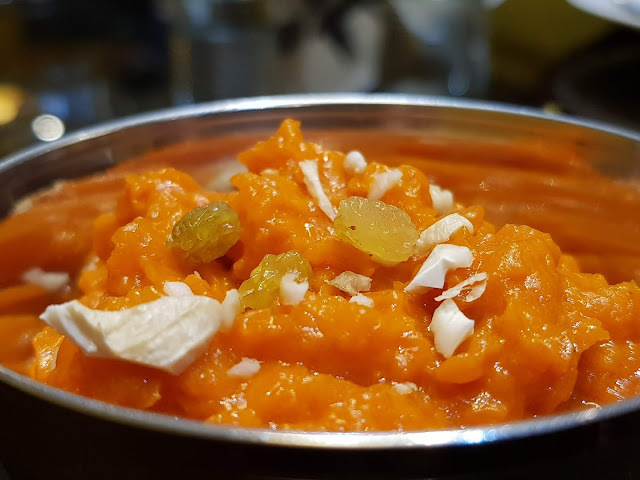 The gajar halwa looked great and had a nice flavour to it. Although, the texture was a bit off. It was a bit mushy than usual and I couldn't feel the grated texture of the carrot. I really liked the gulab jamun though. They were served hot and topped with some sliced almonds. Since we were the only customers here on that day, it felt cozy and peaceful which is exactly how I like to have my meal. 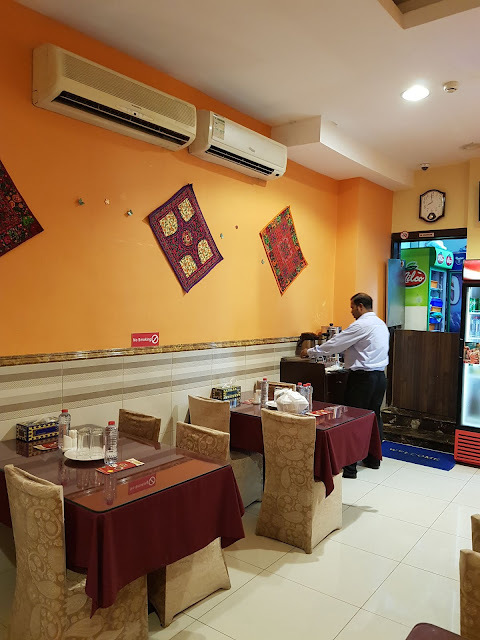 Overall I really liked the place as it serves delicious desi food with a homely touch.